I wanted to bake a special cake today to celebrate the birthday of a close friend undergoing treatment for non-Hodgkin’s lymphoma and glaucoma. As there was a ripe mango in the fridge, I decided on a mango cake. 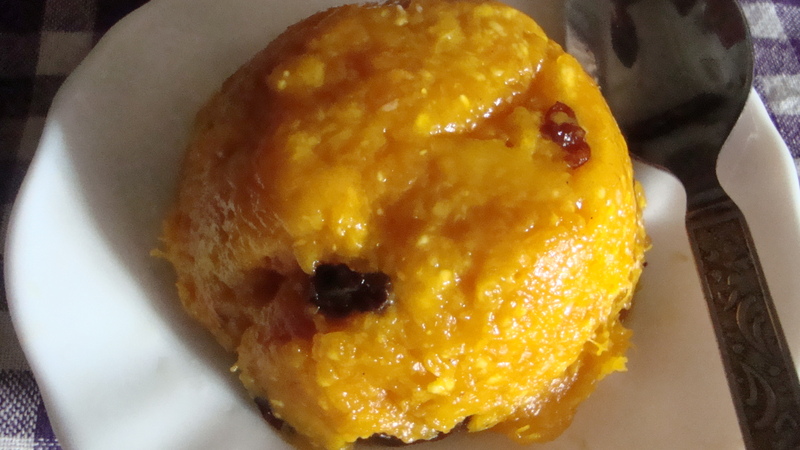 Thinking of the spice that I could mix with mango in a cake, I decided to try saffron as I had recently tried out kesari in my muffin loaf and had also enjoyed the Cornish saffron bread that I had baked a couple of months back. 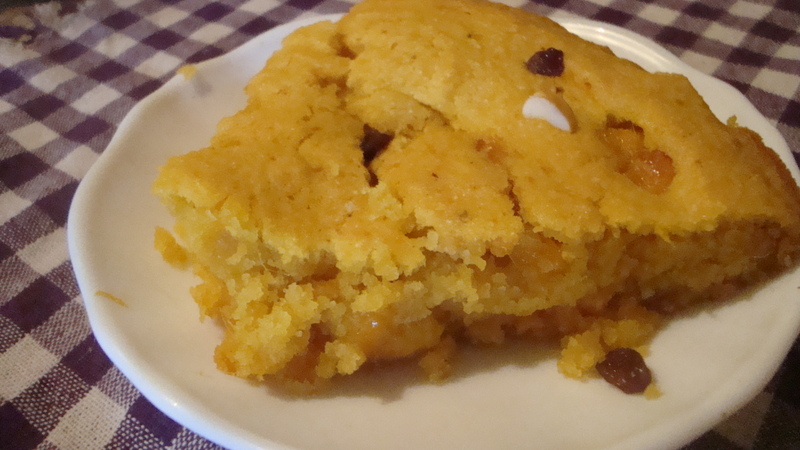 Therefore, while both my exotic muffin loaf and this mango saffron cake look outwardly similar, the taste is different. Of course, on this special day, I wish to feature a very special singer – K.S.Chitra whose birthday coincidentally happens to be today as well. One of my favourite singers, Chitra has won six Indian national awards during her 35 years of playback singing as well as was awarded the Padma Shri in 2005. She has had extensive training in Carnatic music. As I had already shared her first award-winning movie song in the post featuring music composer Ilayarajaa, I will share a beautiful song clip from her devotional song album, Krishnapriya (2005). The second clip is a lullaby she sang for the Craft (Center for research in assisted reproduction and fetal therapy) hospital and research center. The center shares this song for downloading from their website with the message, “For our emotionally stressed women and men we hereby give a small gift- A Lullaby of hope that will go straight to your hearts- soothe you and transcend you virtually to the wonderful world of parenthood.” Chitra lost her eight-year old daughter in 2011 and resumed her singing with this track. The last song clip is her award-winning movie song from Cheran’s movie Autograph (2004) featuring actress Sneha and the Comaganin Raaga Priya orchestra. The music was composed by Bharadwaj and performed by the special blind orchestra while the lyrics was written by P.Vijay (who also won an award that year) and sung by Chitra. The clip I chose to share here has roughly translated subtitles (courtesy of YouTube user Antony Rajabala). Hope you enjoyed today’s music by one of my favourite singers and the lovely cake! Heat the milk with the saffron. Once bubbles start to form, remove from heat and allow the mixture to cool. Sift the flour together with baking powder, baking soda and salt. Add the roasted semolina to the dry ingredients bowl and keep aside. 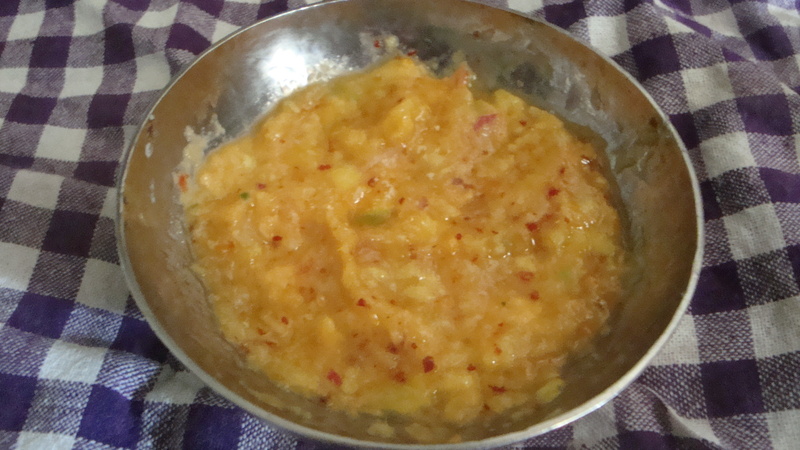 Chop up the mango and add the vanilla essence to the chopped mangoes in a separate bowl. Let the fruits soak in the essence. Whisk the margarine and sugar together until creamy. Stir in the saffron milk and continue whisking. Gradually add the dry ingredients to the wet ingredients bowl, continuously stirring. Fold in the chopped mangoes and transfer to lightly greased baking pan. Sprinkle chopped cashew nuts and raisins. Bake the cake at 170⁰C for around 30 mins. The time will vary depending on the oven. 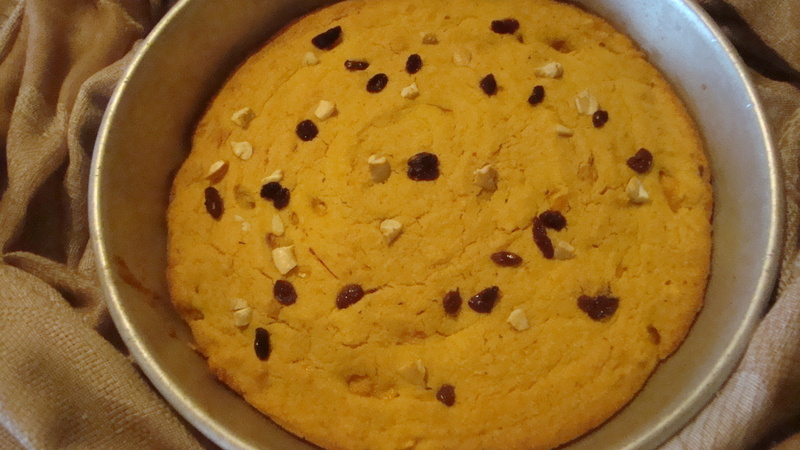 Let the cake cool off before slicing and serving with a hot cup of Sri Lankan tea. Enjoy! 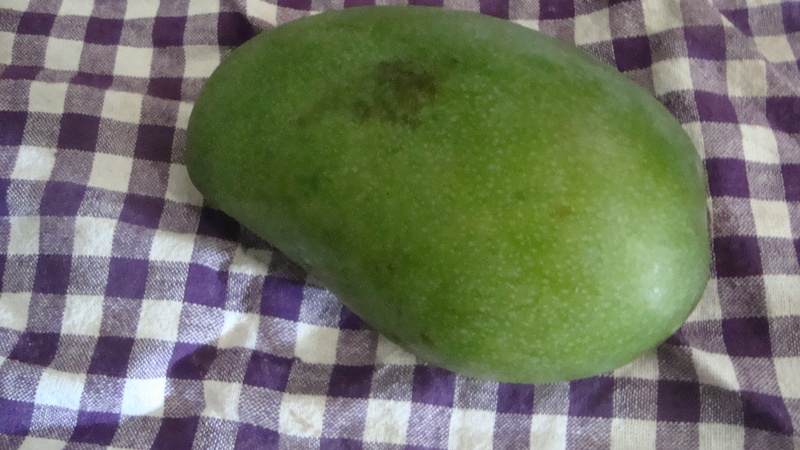 When you have some ripe mangoes at hand and you don’t feel like eating them just sliced as you usually do, then you could try out this quick to make, dessert for one. 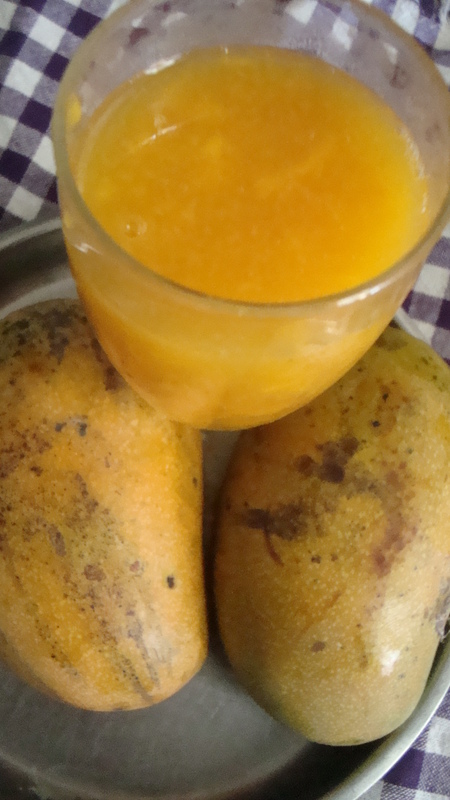 Blend the mango without water. In a saucepan, heat the ground mango with 2 tbsp sugar, ¼ tsp vanilla essence and 1 tbsp of water, stirring continuously for a minute or two. If you like a little citrus flavour to your pudding, add a tbsp of orange juice. Add the corn flour, stirring in a tbsp at a time. Continue stirring for 3-4 mins. If making for more than one person, consider using corn starch dissolved in water instead of corn flour. Add the raisins and crushed cashewnuts and stir for a min. Add the margarine and mix well. Remove the saucepan from stove and transfer the pudding to a mold. Serve plain or with some ice-cream on the side. 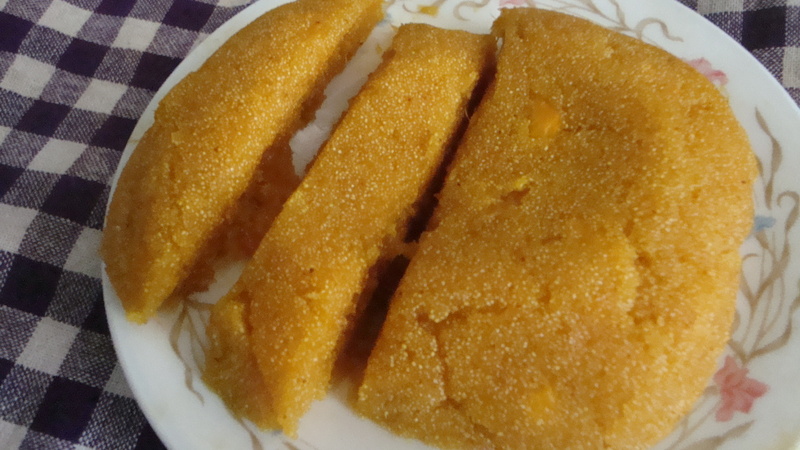 Today’s lovely recipe is my mother’s recipe for mango kesari/ halwa. Great with a cup of tea or coffee. Make 1 cup of mango juice by blending the chopped mango, orange juice, mint leaves, 1 tsp of sugar and pinch of salt with water. Heat the juice in a saucepan with a tbsp of sugar for about 2 mins. Add the vanilla and semolina. Continue stirring until it thickens. Add 1 tsp of margarine and the optional yellow food colour and nuts. Mix well before transferring to a tray or mold so that it can set. 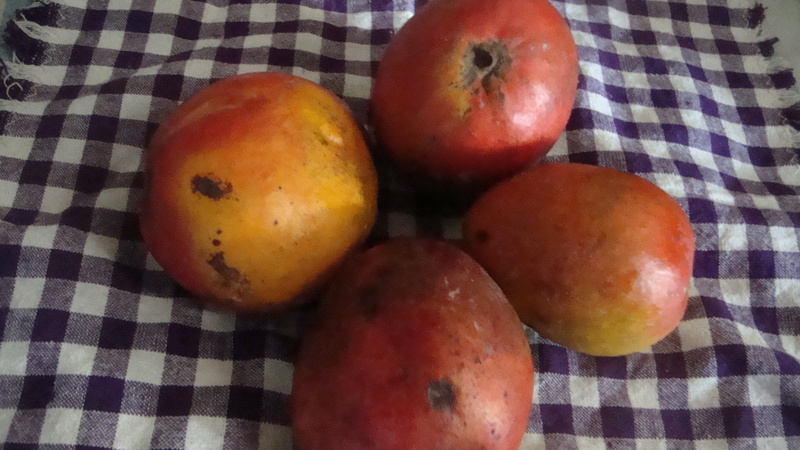 Serve warm with tea or after a meal.